Registered Retirement Savings Plan – RRSP.ORG the original website that best describes everything you wanted to know about Canadian registered plans and schemes has taken a turn for the best. The information and knowledge base on RRSP.ORG is more than ready for change and a complete overhaul. MONEY.CA the leading Canadian money and personal finance website has acquired the aging website for all the right reasons. RRSP is just one of many keyword subject sites that most of Canada wants and needs. For over 20 years this small and meaningful site providing news and information in the world of Registered plans for Canadians has now been taken over by people who know and care dearly about the subject matter and the benefits and advantages it brings to Canadian’s, the government and the country as a whole. 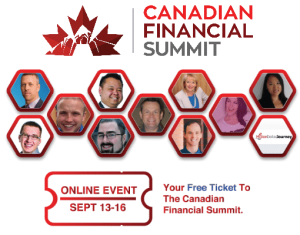 Look forward to the changes and updates as Canadian financial consumers will learn how to make, save and preserve more of their hard earned wealth. The advisor channel is more than welcome to contribute news, information, stories and articles that make sense and pays dividends to the average Canadian. Mutual Funds Newsletter is proud to join some of Canada’s top investment and finance professionals as a regular writer for MUTUALFUND.CA and the electronic and industry trade publication called ‘Mutual Fund Magazine’ that is an RRSP Season favorite for mutual fund dealers, representatives and advisors. Mutual Funds Newsletter is at the top positions of yahoo, google, bing and youtube. The monthly Canadian Mutual Funds Newsletter is available in part online and is primarily sent with CASL approved email newsletter systems. The Mutual Fund Newsletter is the one and only premium communique that is completely free of charge. MutualFund.ca the keyword website that best defines Mutual Funds and the mutual fund industry at large. The entire portal of mutual fund sites protects the interest and sentiment of mutual funds and capital markets in Canada with respect to investors, advisors and product manufacturers. The Mutual Fund Industry is worth well over 1 trillion dollars of Canadians hard earned capital. A concentration of assets under management worth considering in general and investigating further your place in it. Enjoy the monthly Mutual Fund Review the entire mutual fund market at a glance with winners and losers by sector and by category. Mutual fund companies, dealers, representatives, advisors and managers are welcome to participate with news, stories, information, data and more. Make the Mutual Fund Newsletter better with your love and support for the sake of Canadian Financial Literacy and the promotion of mutual fund education. A correction is a beautiful thing, simply the flip side of a rally, big or small. Theoretically, even technically I’m told, corrections adjust equity prices to their actual value or “support levels”. In reality, it’s much easier than that. Prices go down because of speculator reactions to expectations of news, speculator reactions to actual news, and investor profit taking. The two former “becauses” are more potent than ever before because there is more self-directed money out there than ever before. And therein lies the core of correctional beauty! Mutual Fund unit holders rarely take profits but often take losses. Additionally, the new breed of Index Fund Speculators over-react to news of any kind because that’s what speculators do. Thus, if any brief little market hiccup becomes considerably more serious, new investment opportunities will become abundant! 1. Your present Asset Allocation should be tuned in to your long-term goals and objectives. Resist the urge to decrease your Equity allocation because you expect a further fall in stock prices. That would be an attempt to time the market, which is (rather obviously) impossible. Asset Allocation decisions should have nothing to do with stock market expectations. 2. Take a look at the past. There has never been a correction that has not proven to be a buying opportunity, so start collecting a diverse group of high quality, dividend paying, NYSE companies as they move lower in price— Investment Grade Value Stocks. I start shopping at 20% below the 52-week high water mark— the bargain bins are filling. 3. Don’t hoard that “smart cash” you accumulated during the last rally, and don’t look back and get yourself agitated because you might buy some issues too soon. There are no crystal balls, and no place for hindsight in an investment strategy. Buying too soon, in the right portfolio percentage, is nearly as important to long-term investment success as selling too soon is during rallies. 4. Take a look at the future. Nope, you can’t tell when the rally will resume or how long it will last. If you are buying quality equities now (as you certainly could be) you will be able to love the rally even more than you did the last time— as you take yet another round of profits. Smiles broaden with each new realized gain, especially when most Wall Streeters are still just scratchin’ their heads. 5. As (or if) the correction continues, buy more slowly as opposed to more quickly, and establish new positions incompletely. Hope for a short and steep decline, but prepare for a long one. There’s more to Shop at The Gap than meets the eye, and if you are doing it properly, you’ll run out of cash well before the new rally begins. 6. Your understanding and use of the Smart Cash concept has proven the wisdom of The Investor’s Creed (look it up). You should be out of cash while the market is still correcting— it gets less scary each time. As long your cash flow continues unabated, the change in market value is merely a perceptual issue. 7. Note that your Working Capital is still growing, in spite of falling prices, and examine your holdings for opportunities to average down on cost per share or to increase yield (on fixed income securities). Examine both fundamentals and price, lean hard on your experience, and don’t force the issue. 9. Examine your portfolio’s performance: with your asset allocation and investment objectives clearly in focus; in terms of market and interest rate cycles as opposed to calendar Quarters (never do that) and Years; and only with the use of the Working Capital Model (look this up also), because it is based upon your personal asset allocation. Remember, there is really no single index number to use for comparison purposes with a properly designed portfolio. Unfortunately, only Self Directed 401k and IRA programs are able to use Market Cycle Investment Management. 10. So long as everything is down, there is nothing to worry about. Downgraded (or simply lazy) portfolio holdings should not be discarded during general or group specific weakness. Unless of course, you don’t have the courage to get rid of them during rallies— also general or sector specifical (sic). Corrections (of all types) will vary in depth and duration, and both characteristics are clearly visible only in institutional grade rear view mirrors. The short and deep ones are most lovable (kind of like men, I’m told); the long and slow ones are more difficult to deal with. Short ones (those that last a few days, weeks, or months) are nearly impossible to deal with using Mutual Funds. So if you overthink the environment or overcook the research, you’ll miss the party. Unlike many things in life, Stock Market realities need to be dealt with quickly, decisively, and with zero hindsight. Think cycle instead of year, and smile more often.